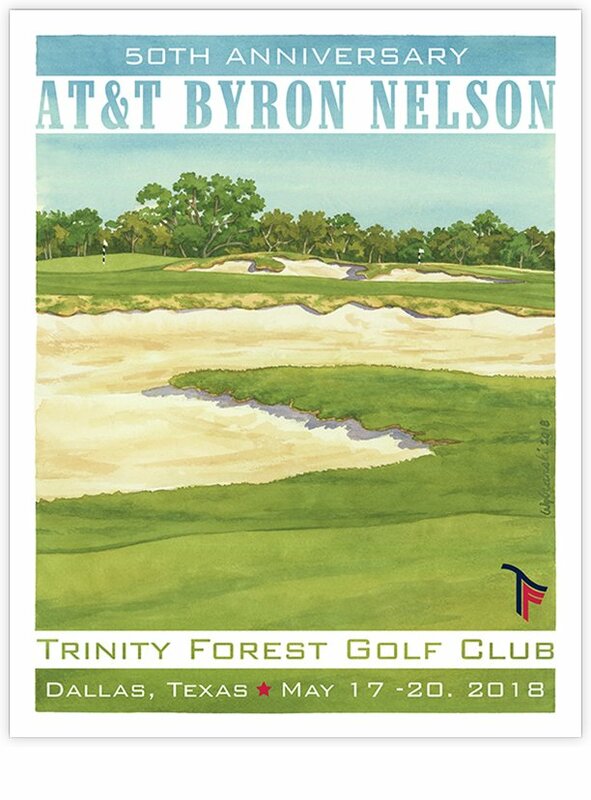 This year marks the 50th Anniversary of what was first known as the Byron Nelson Golf Classic, named for one of the great players and gentlemen of the game. It also marks the inaugural event at the new Trinity Forest Golf Club, a Coore and Crenshaw treeless links built on a landfill that looks like it was transported from Fife to downtown Dallas. Golf fans and media alike are eager to see how the players respond to such a different type of course than they are used to playing on the PGA Tour. Lee’s poster for the event features the impossibly vast double green and gaping bunker shared by the 3rd and 11th holes.